We cannot deny the fact that there has been a tremendous improvement in the streaming technology. Companies have put efforts to enable consumers to access content easily by streaming. Whether you want to stream video or music, you simply need to visit your preferred streaming service and watch or listen to the content that you want. However, there is one frontier that has been elusive to many companies. This is game streaming. However, Google is trying to fill this void with its new solution known as Project Stream. This solution is designed to help Google Chrome users to stream video games through this browser. To many, this may sound impossible especially when we consider the technical aspects of video games. However, we should expect anything with Google. After all, it has all the resources to actualize this technology. You should take note that this streaming service is nothing close to Twitch. You won’t be streaming a video of yourself playing a video game. Instead, it will enable gamers to play video games through their Google Chrome browser. In other words, you won’t have to download a video game and save it in your hard drive. Everything will be taking place on the browser with the support of a seamless internet connection. One of the solutions that Project Stream technology is expected to solve is the storage space requirements. Most video games are hardware-intensive. They require large storage spaces which in some cases can exceed 100GB. Since the streaming service will be available online, there will be no need for gamers to worry about storage space. The project also intends to explore the possibilities of coming up with games which will allow players to play on subscription modes. This can be a major boost to gaming companies that want to minimize the cost of hardware. When we talk about online streaming there are tow issues that we cannot avoid to talk about. These are: latency and buffering. While you may be comfortable with some seconds of buffering when watching movies or streaming music, your feelings will definitely change when it comes to gaming. These two issues can have a negative impact on your gaming experience. Project Upstream intends to minimize the latency time, especially when streaming high-quality video games. It should not degrade the quality of graphics in the game. In order to ensure that the final consumers get a practical solution that will improve their gaming experience, Google decided to bring in an established gaming company-Ubisoft. 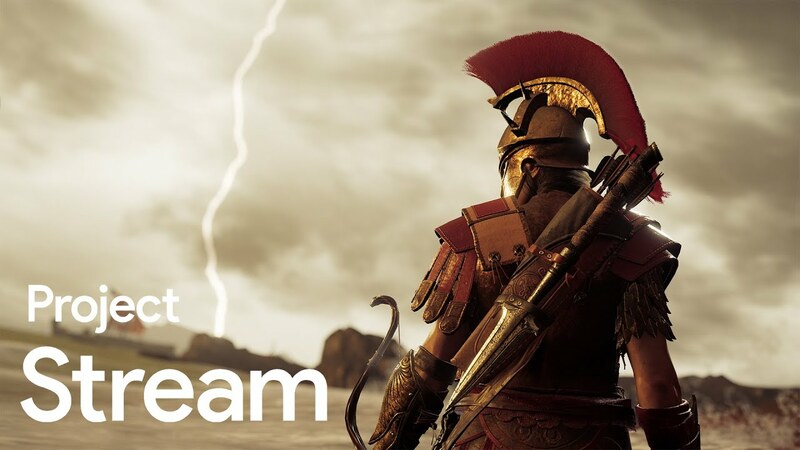 The company agreed to stream their upcoming blockbuster game: Assassin’s Creed Odyssey on the Google Chrome. Gamers are invited to test this game on their Google Chrome browsers. Google is not the first company to venture into live game streaming. Other gaming companies such as Nvidia are testing similar products. If successful, the project will boost the level of creativity in the video gaming industry as creators who are held back by the lack resources will still be able to publish their video games. It will also make more video games affordable.